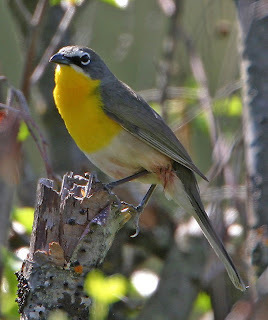 This morning I saw the return of a friend from last year: our Yellow-breated Chat, in the same place as last year along the greenbelt going toward the Water Reclamation building. 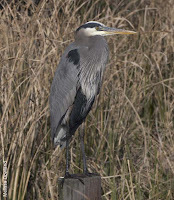 I was surprised to see a Great Blue Heron down in our creek this morning too. 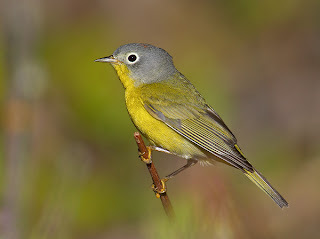 Another cool bird to add to the Avimor list is a pair of Nashville Warblers that I observed near the owl nest. Another fine morning for birding at Avimor!